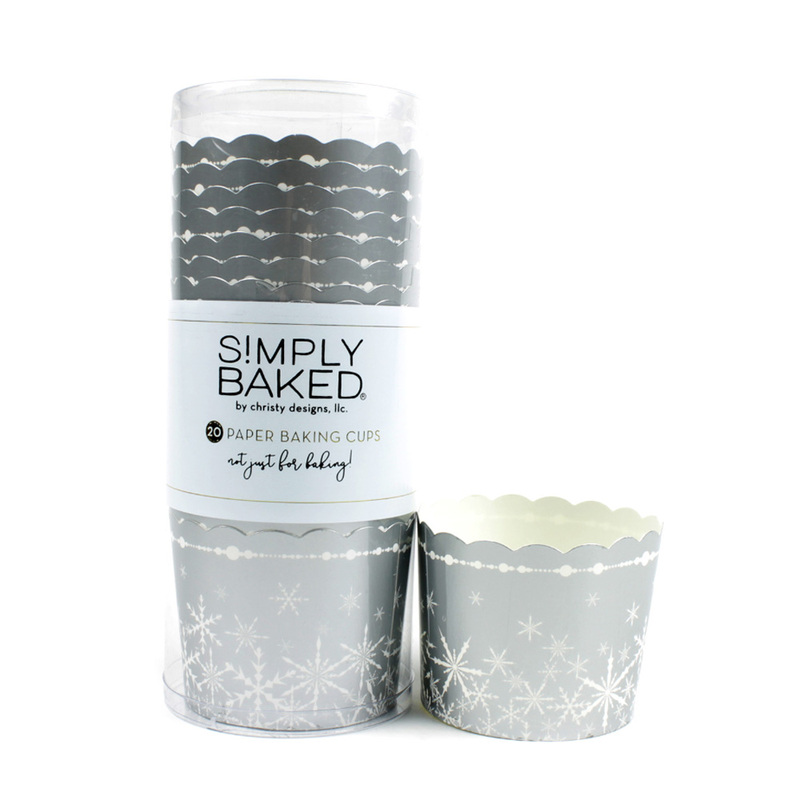 Simply Baked Holiday Small Silver Cup Set, 3 oz. Capacity, 1 7/8" Dia. 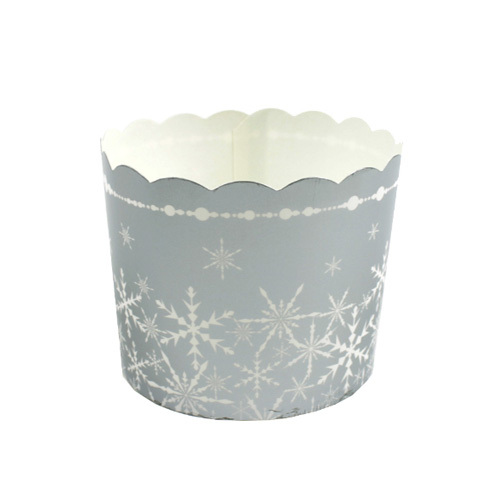 x 1 5/8" High, 24 Pc. 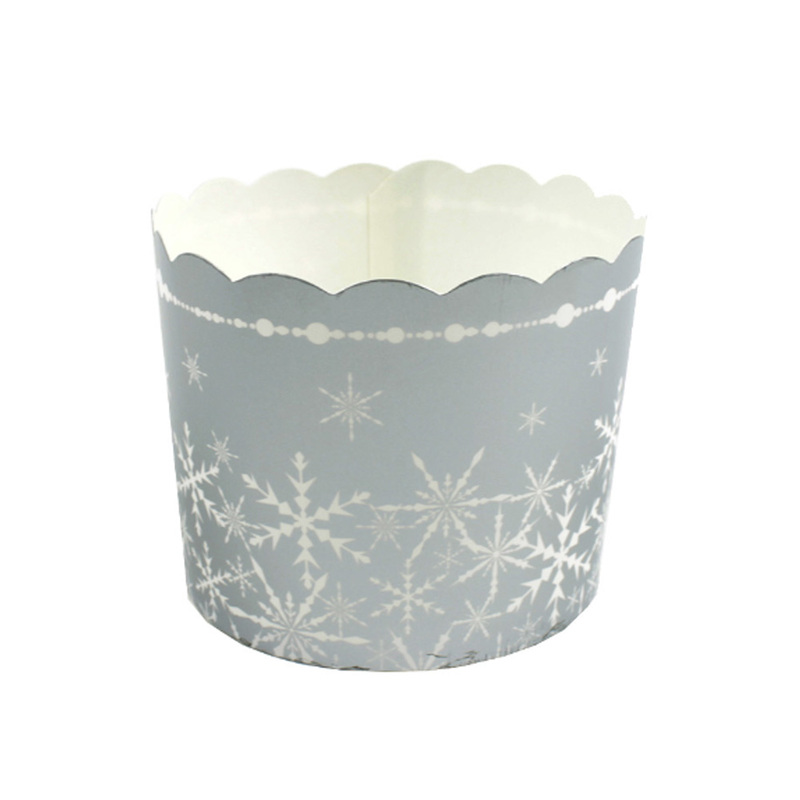 Simply Baked Holiday Large Silver Cup Set, 5 oz. Capacity, 2 3/8" Dia. x 2 1/8" High, 24 Pc.